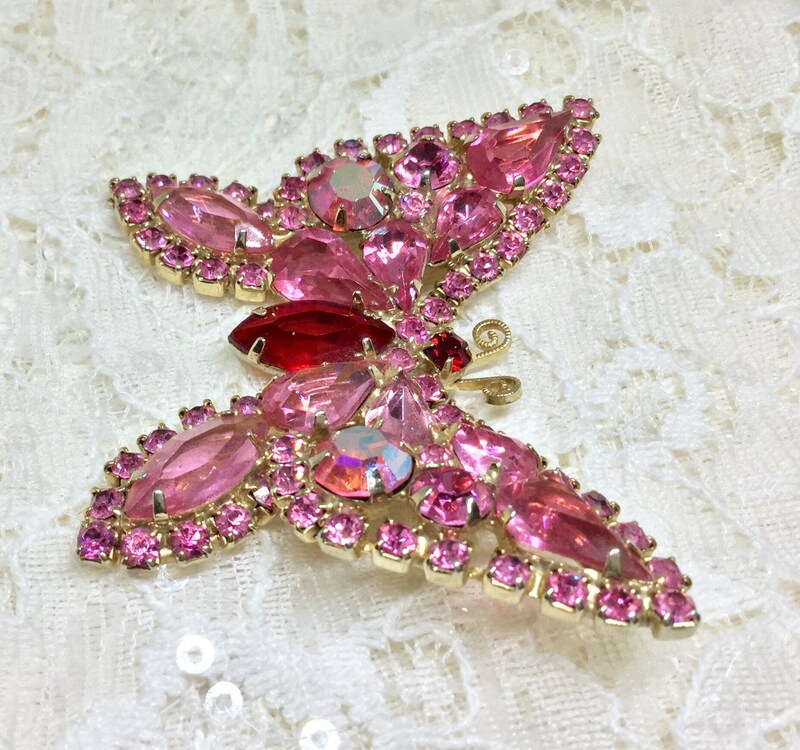 This is a wonderful and amazing vintage goldtone rhinestone butterfly brooch. 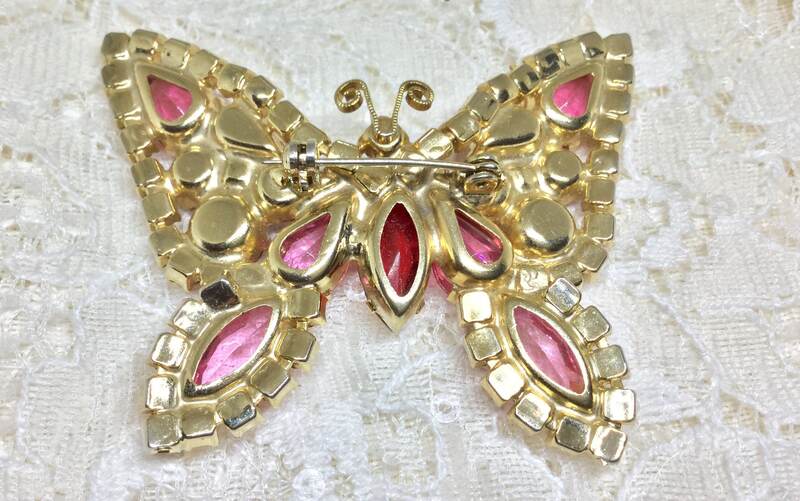 The body and head are red rhinestones and the feelers are textured goldtone. 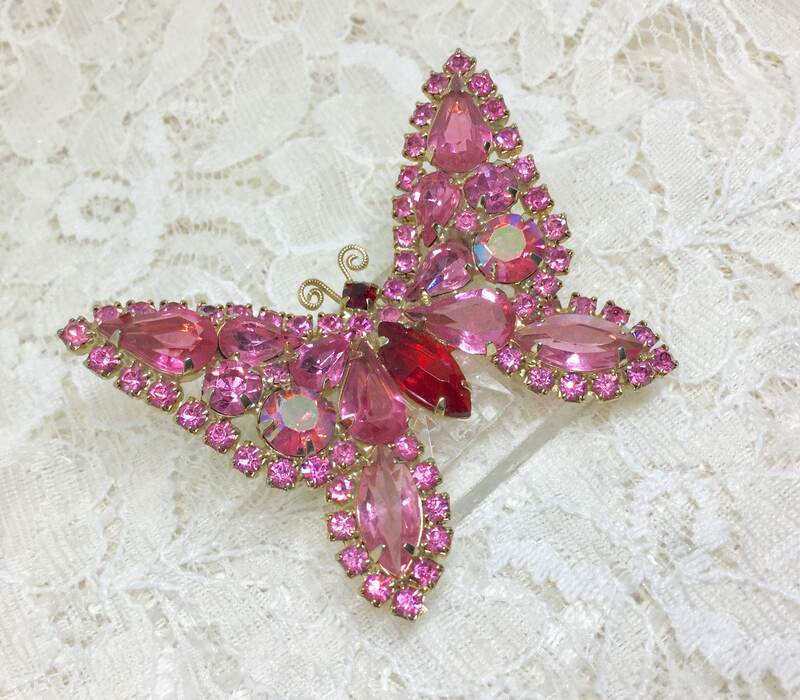 All of the rhinestones are vintage, faceted, prong set, and original. 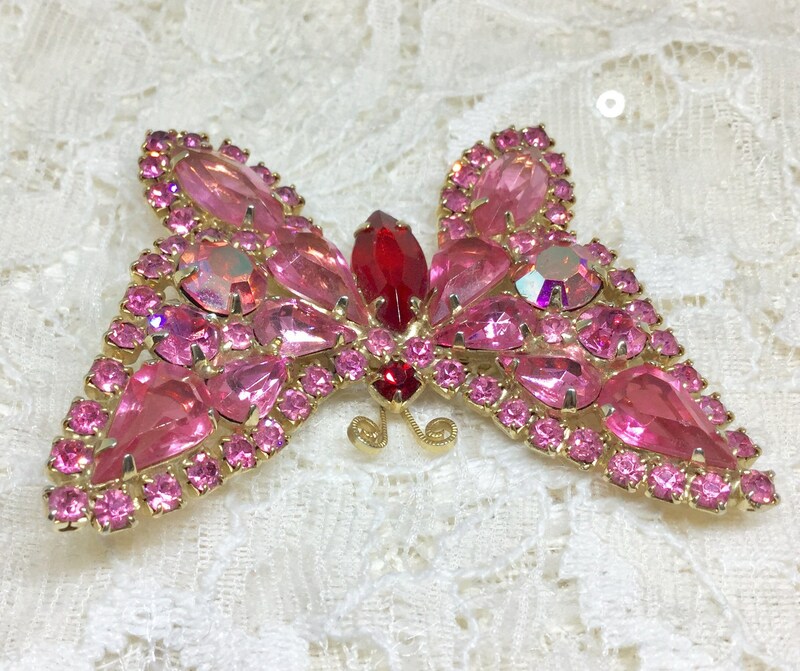 The wings each have a large round pink AB rhinestone, five large teardrop shades of pink rhinestones, and outlined with smaller pink rhinestones. 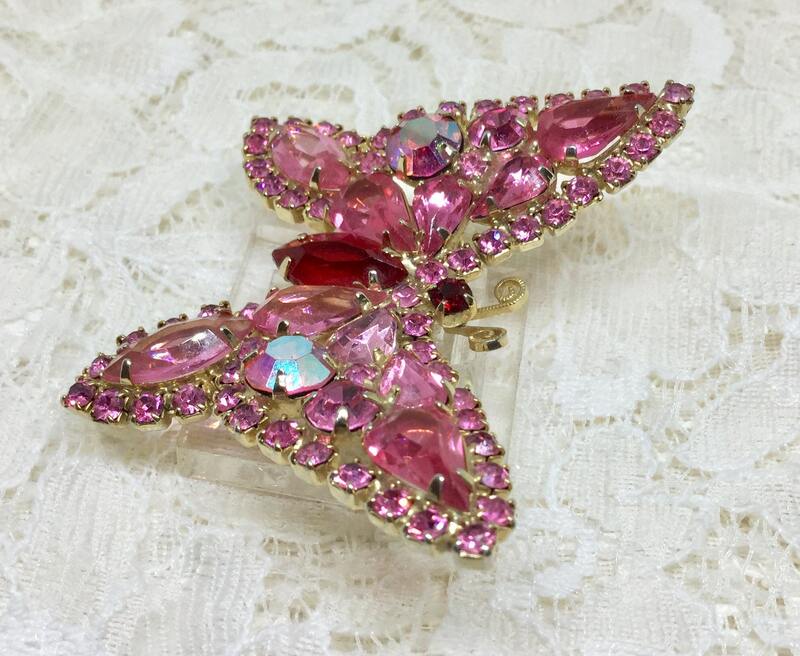 It measures 2 3/8” x 1 7/8” and the pin closure is straight and works smoothly and securely. 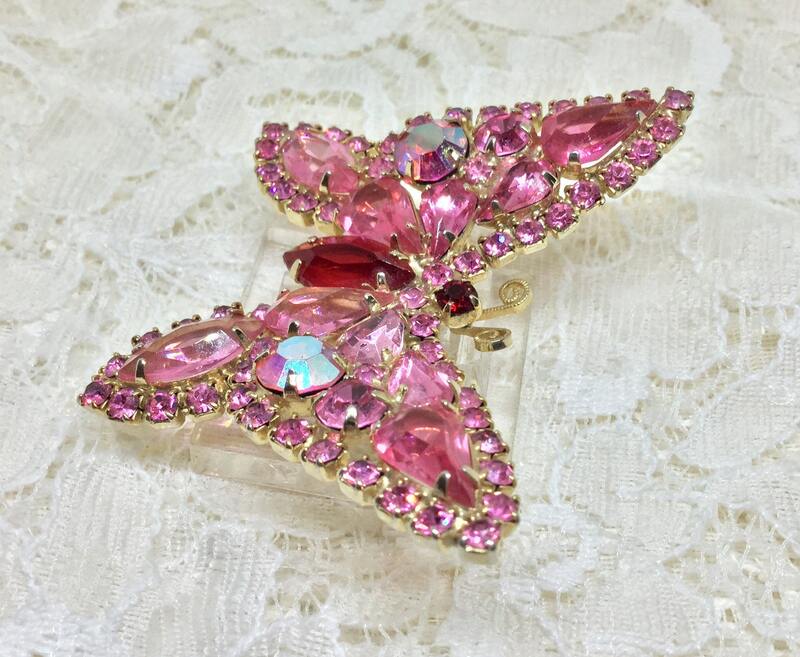 The butterfly front and back are in excellent condition. 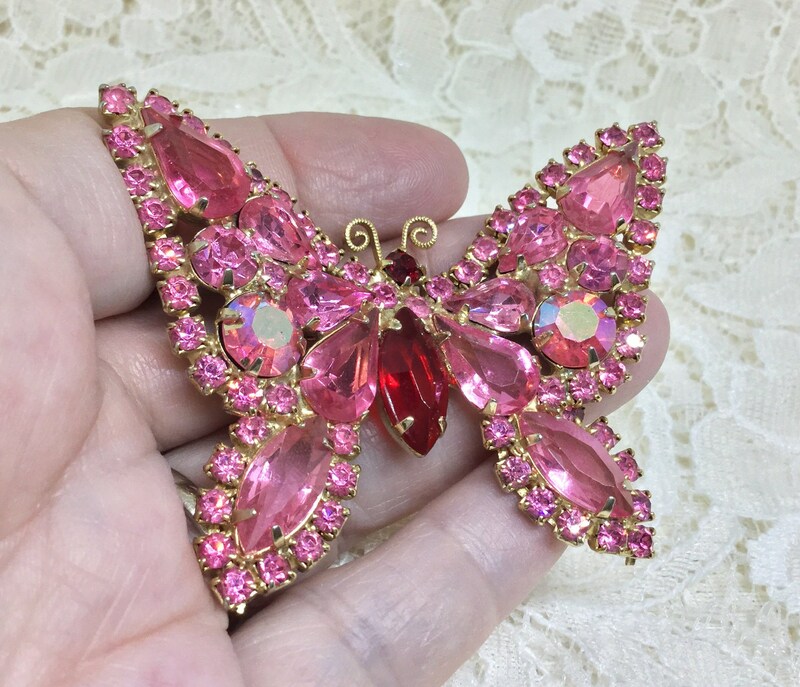 A great brooch for a pink lover, a butterfly lover, to wear on a sweater or denim jacket, or in a wedding bouquet! 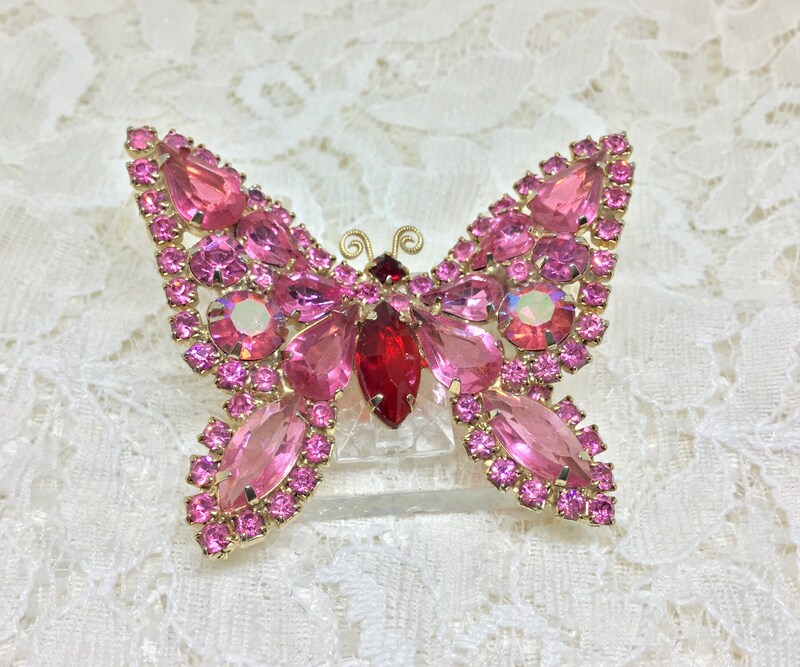 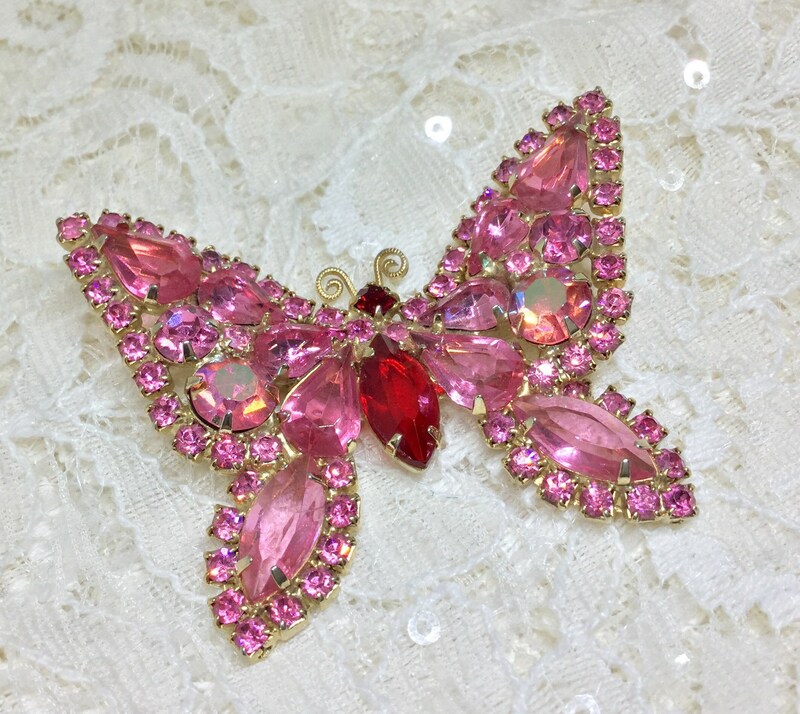 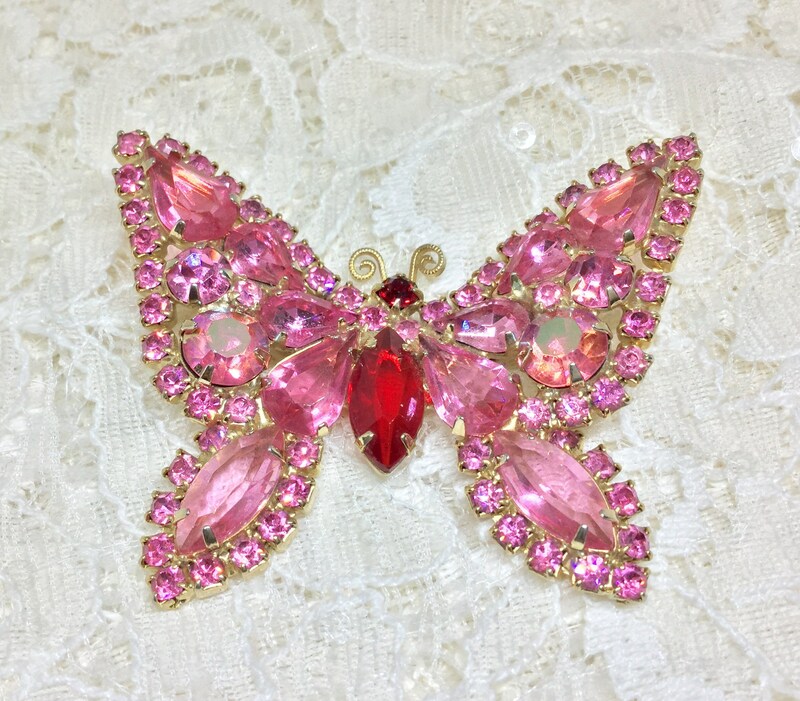 You will feel fabulous wearing this pink beauty and will be amazed at how many people will comment on this great butterfly brooch!